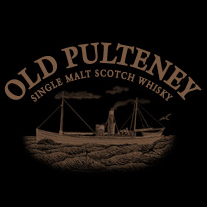 I like Old Pulteney. 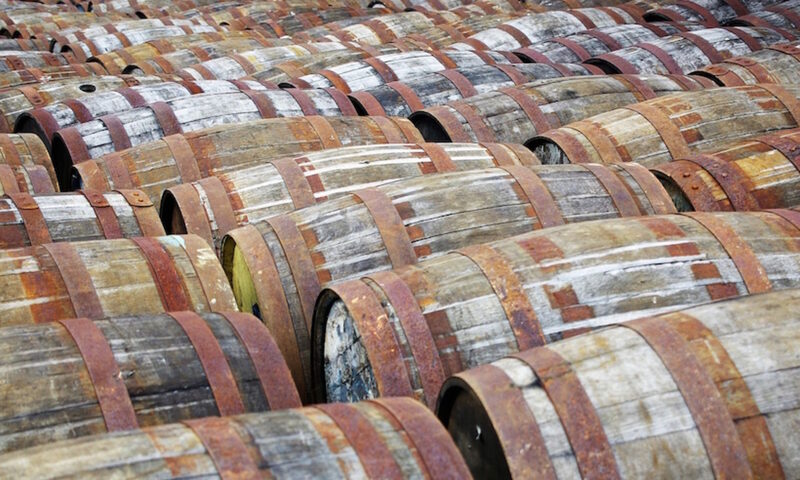 As I mentioned way back in my first mention of them on this blog I think that they get a bit pricy a bit quickly (although now I’ve worked in whisky for a few months my ideas on pricing are fast being eroded) but they make good spirit. As such I was rather pleased, although admittedly quite surprised, to see that Jim Murray had named the Old Pulteney 21 year old his Best Whisky In The World in this year’s Whisky Bible. I was surprised as while I like the 21 I think it’s easily surpassed by the 17 and even the 12 year old, but that’s part of the point of Jim Murray – to put up a best whisky that almost noone agrees with in the whisky community, but that will make people talk. Happily this year he’s put up something that people do actually think has some right to a top spot, unlike in some previous years, and also happily it’s something made by people I’ve met and like. Well done Malcolm and the rest of the Pulteney gang. Anyways, what that barely relevant intro brings me to is a pair of whiskies I had a taste of the other week – one as part of a ‘Twitter toast’ and the other one that I picked up while visiting the distillery. First up is a special edition bottling, Old Pulteney Row to The Pole. It’s a commemorative whisky in honour of a recent Pulteney backed bit of crazy exploring, rowing from Resolute Bay in northern Canada to the 1996 site of the North Magnetic Pole – 450 miles of rowing in extreme weather conditions fuelled (in part?) by whisky. The expedition was led by Jock Wishart, who was part of the 1996 group who pinpointed the Pole’s position, the first time it had been measured accurately, and they left Resolute on July 29th. They arrived at the pole on August 26th after a final 2 miles over land – 2 miles while dragging 1.3 tonnes of boat… They were the first group ever to row to a Pole, although putting it that way does seem a bit weird, as two of the four Poles are in the middle of the Antarctic, and dragging a boat across that definitely doesn’t count as rowing. Rather impressive and definitely worth releasing a whisky for, which Pulteney have duly done. 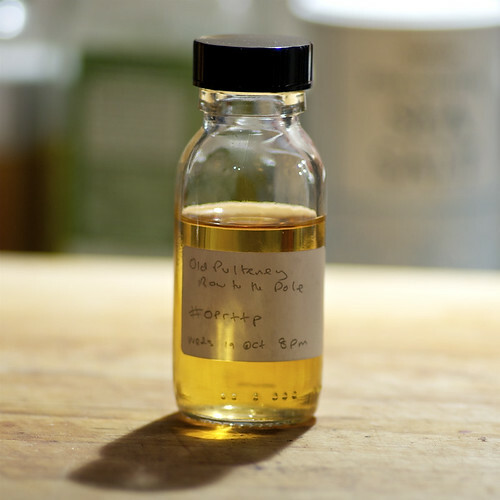 I got sent over a sample so that I could join in a Twitter Toast – an evening when a bunch of us would have a taste of the whisky on Twitter and the crew would be hidden in a pub in Wick ready to chat as they toasted themselves with a few drams. Anyways, what was the whisky like? 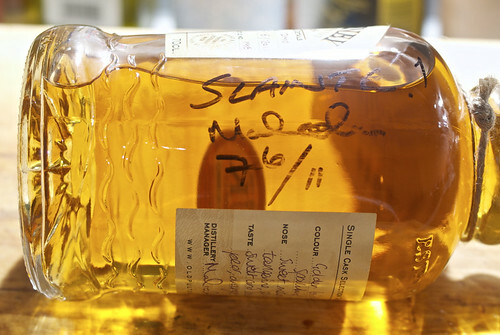 It was a mix of bourbon and sherry casks, with only a few of the latter in the mix and was definitely an Old Pulteney. On the nose it had apples, vanilla cream, pear drops, red boiled sweets, fizzy Refresher chews, lemon, a spicy earthiness and a hint of brine. To taste it was creamy and sweet, with stewed apples with cinnamon slowly turning into tannic apple skin as the flavour developed. It also had some pears, brine and a light raisiny butter that hinted at the sherry casks in the mix. The finish was quite simple, with tannic apple skin fruitiness and light cream lingering for a while and picking up some spiced pear as it faded. 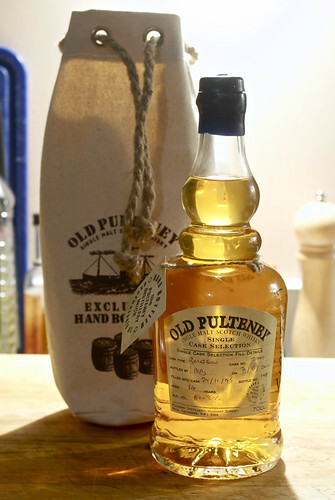 A light and tasty example of Old Pulteney, young, fresh and easy drinking. But what does it taste like? On the nose it had musty apple barrels, strong syrupy sweetness with glue and wood polish, reminding me of an aged grain whisky. Water killed some of that and opened things up to show some marzipan and berries. To taste it was sweet to start but quickly descended into apple skin tannins, with floral honeysuckle, wood polish and a hint of woody pot pourri. Again, water calmed things down and revealed more floral notes and wax, as well as more spice and flowery perfume. It finished well, with woody spice, tingling menthol and tannic apple skin. It was fresh but much bigger than the Row to the Pole whisky, with more wood and spice, as well as a lot more tannins, drying things out quite a bit on the finish. Water was definitely needed and made it eminently drinkable, although it does feel more like a spring or summer whisky rather than one to sip in the coming winter nights. Thanks to Lucas at Alembic Comms for sorting me out a sample of the RTTP.